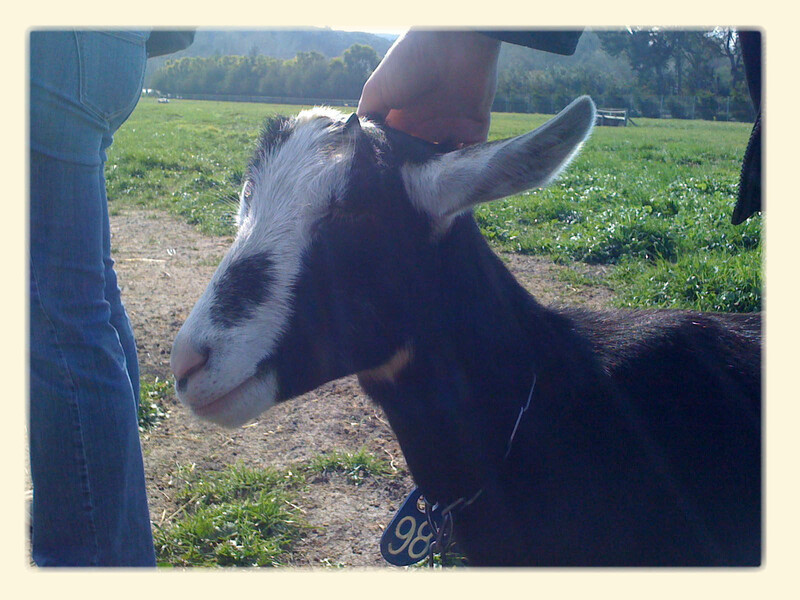 I didn’t realize I was such an animal person until my friend planned a trip to Harley Farms in Pescadero. Every February or so, the female goats on the farm are just about ready to give birth and you can go and visit them. 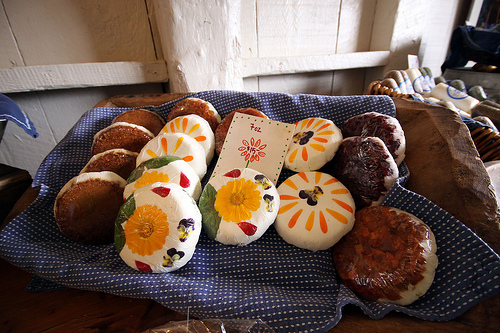 For $20, you can even take a guided tour of the farm, learn the history, meet the goats, and check out the cheese making process. When we got there, the litter of baby goats was only 2 days old, so we couldn’t hold them, but when I just checked their website last week, they had just over 200 baby goats born already! Our tour was a little slow, but great. Our guide even “introduced” us to the llamas that stand guard against any intruders that may try to harm the sheep. (Watch out for those llamas – they can spit 20 feet! And the spit will burn if it gets in your eye – so I hear.) The goats were really sweet and let you pet them and scratch their heads, and I got a bunch of really cute photos of the animals trying to nip at shoelaces or the hems of people’s shirts.The best part is at the end of the tour, you can go into the little shop and buy cheese made from the milk of the goats you just met. The have some of the most amazing chevre I have ever had – I love the chive one – and their Crème Fraiche is really good too. They also have body products and olive oils, all of which are locally made! I can’t wait to go back!